Flaunt sartorial elegance when you wear this off white coloured kurti. 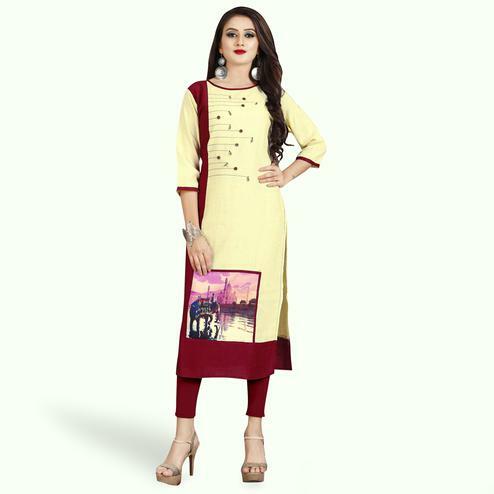 This off white kurti made out of rayon fabric features three quarter sleeves round style neck and diamond work in the form of floral designs. 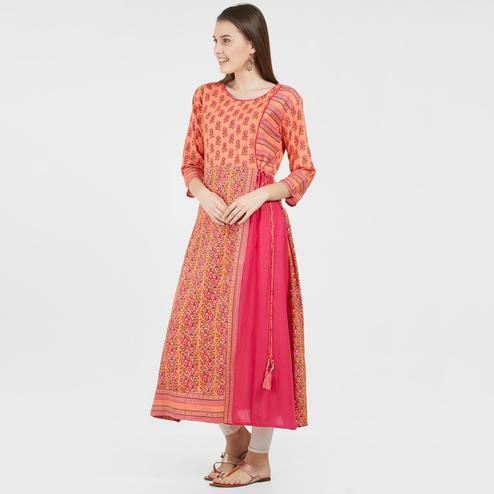 You can wear this kurti by teaming it up with matching jeans or leggings for a complete look.